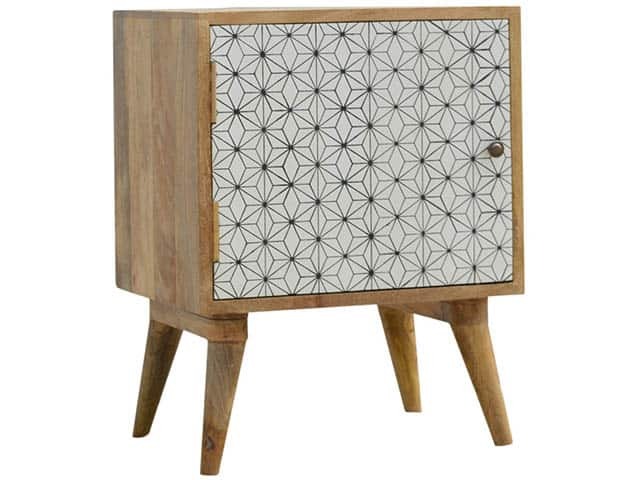 Screenprint Geometric Door Bedside Table constructed from 100% solid mango wood and finished in a fine oak-like finish body. 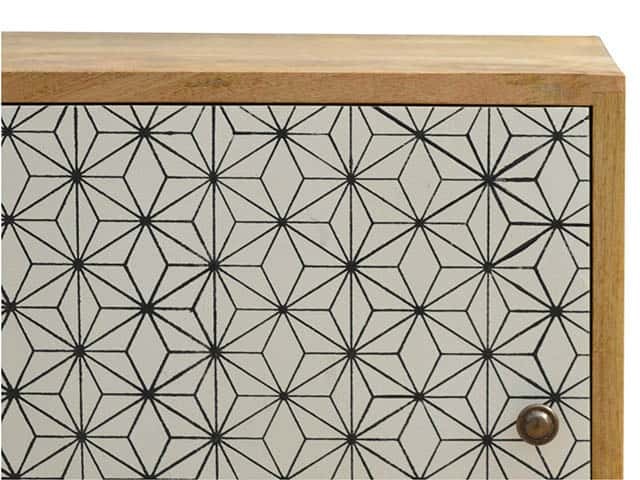 Standout feature; the screen printed door front with beautiful geometric design. 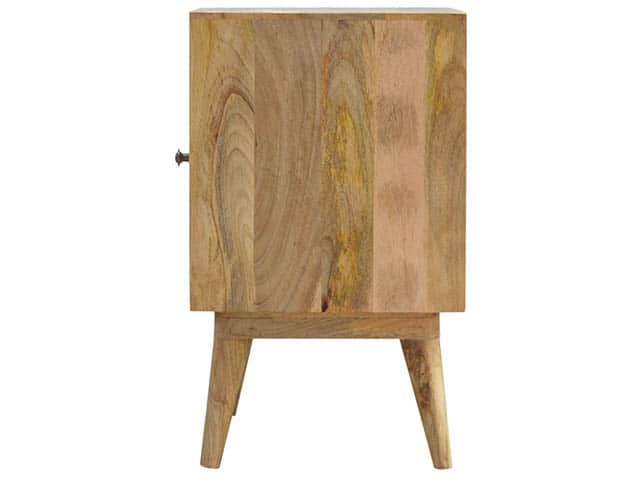 This gives the piece extra dimension and character and allowing you to store any bits and pieces discreetly. 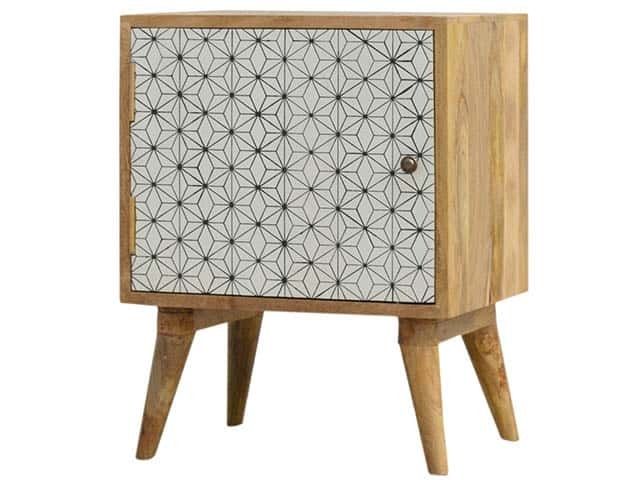 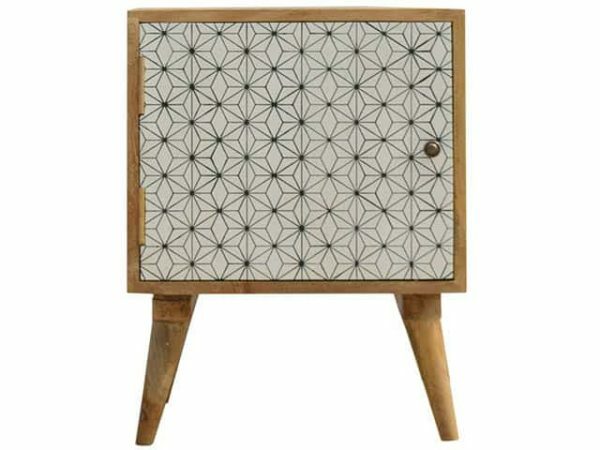 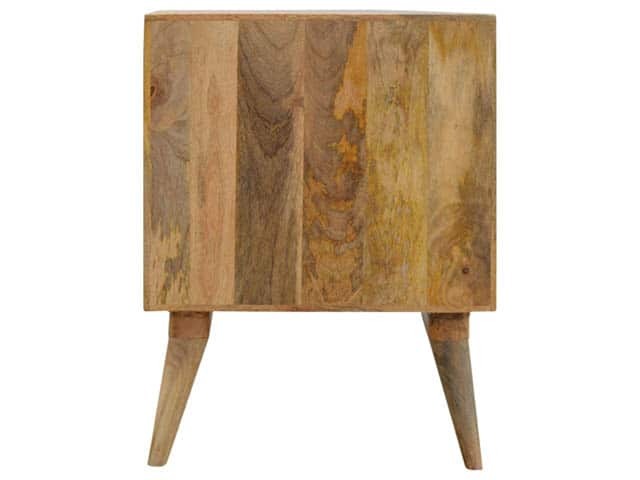 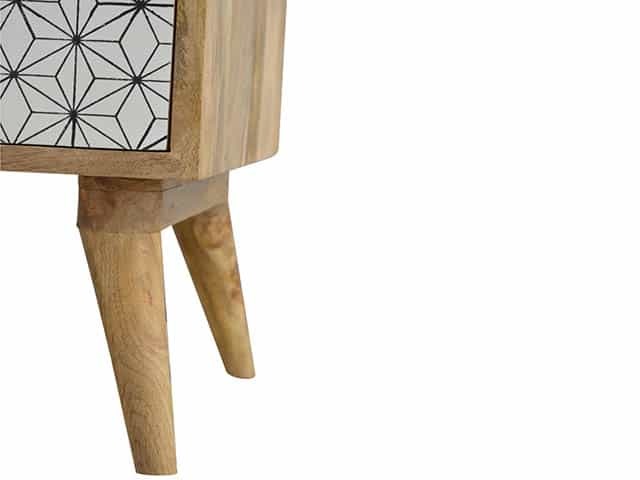 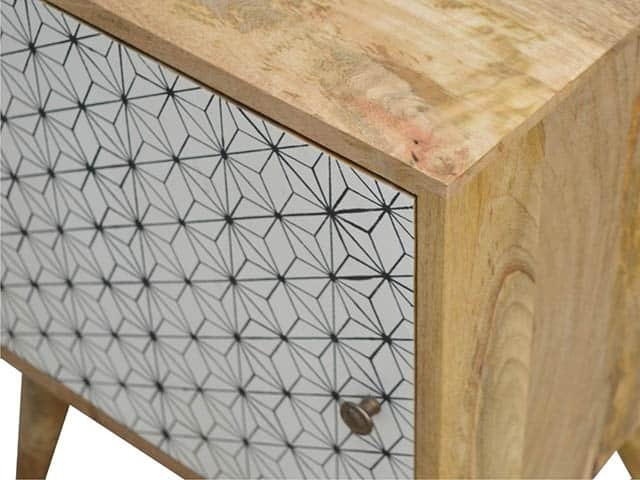 This gorgeous Geometric Door Bedside Table also has 4 Nordic style legs. 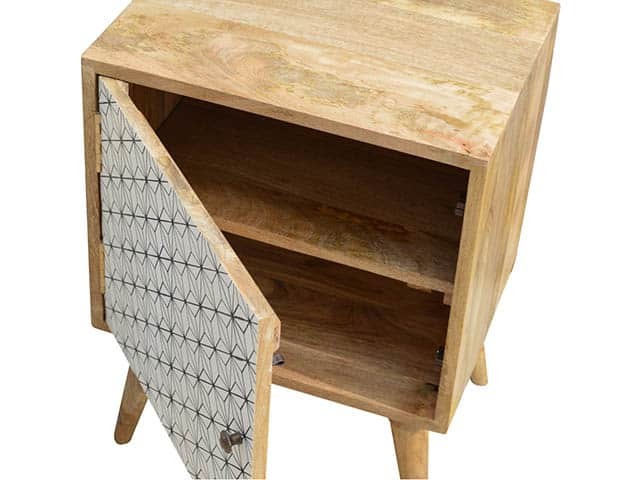 In addition it offers ample space on top for a lamp, photo frames or ornaments.